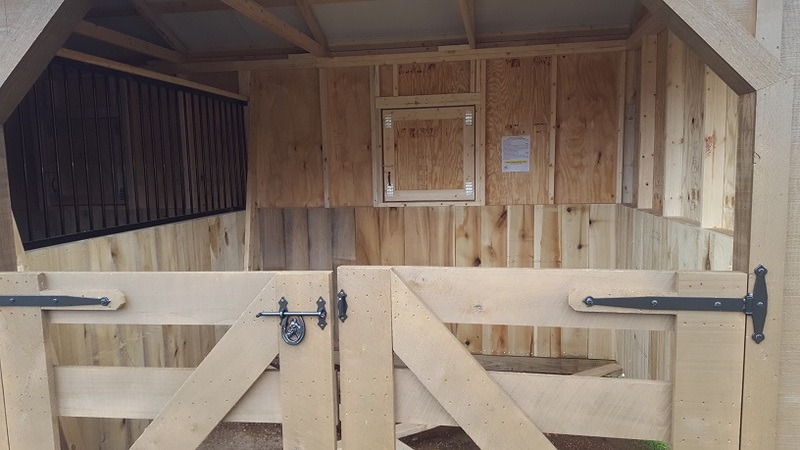 Divider Walls: Powder coated steel over 48″ high poplar hardwood kick board divider wall between the run-in and stall. Solid wall between stall and tack room, and tack room and chicken coop. 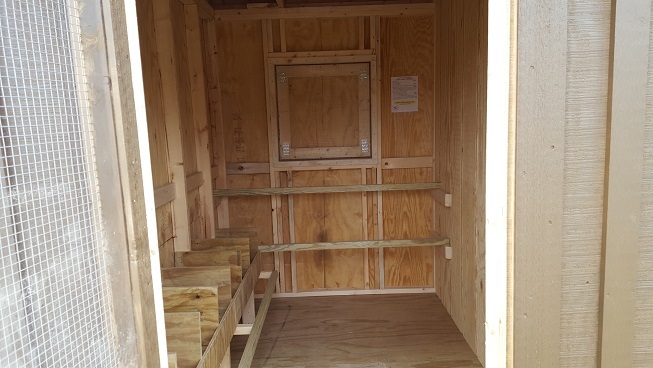 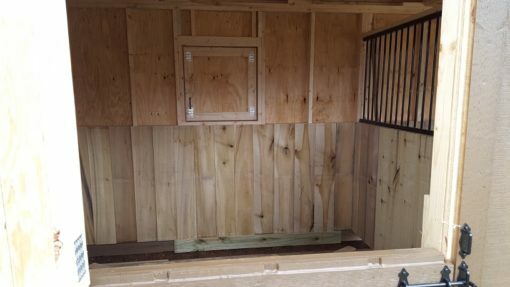 Stall Lining: run-in and stall lined with 48″ high poplar hardwood kick boards. 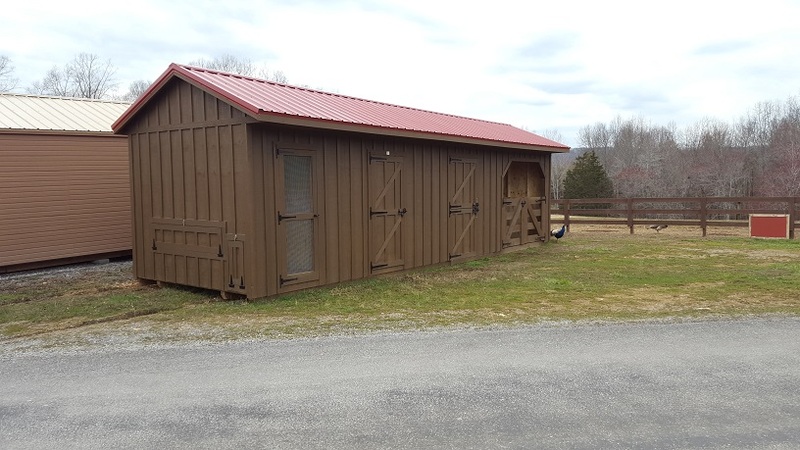 Chicken Coop: 10×6 Chicken Coop w/ x6 nesting boxes w/ exterior access, small chicken door, egg access door, and a man door w/ Plexiglas and wire mesh. 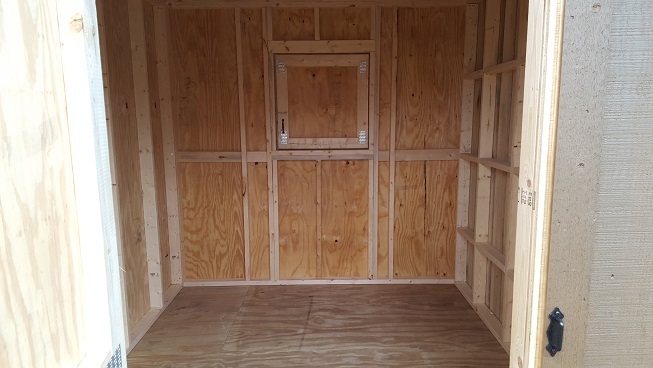 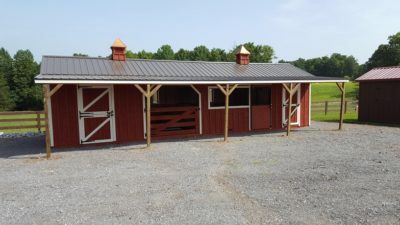 Windows: x1 30″x30″ hinged wood window in the back of the run-in, stall, the tack room, and the chicken coop. Coop has wire mesh over the window. 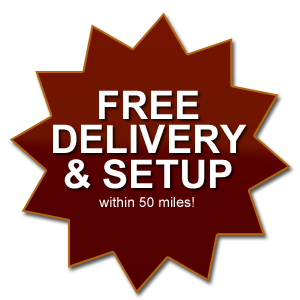 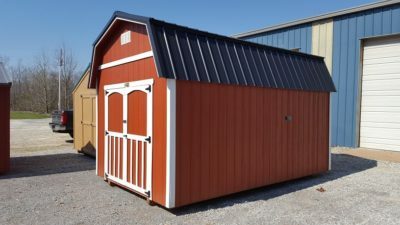 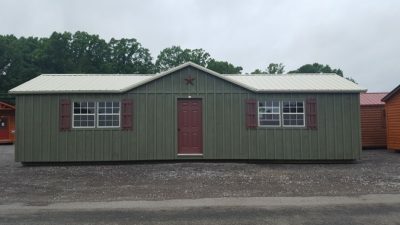 Free delivery and setup up to 50 miles from Cumberland Furnace, TN.